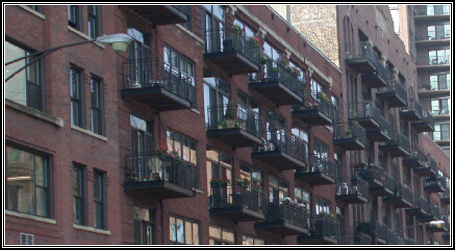 The Erie Centre Lofts is a 109 unit loft conversion located in the River North neighborhood of Chicago. The building was a total gut rehab that was turned from a warehouse and office building to 109 one and two bedroom lofts. The development was hugely successful and sold out in just over a year. The lofts feature innovative design with curved walls and large balconies, exposed brick walls, and timber ceilings. In addition, Erie Centre Lofts was able to utilize the best construction techniques to help reduce noise transmission between the units. The property also includes first floor retail space.